Novelist, screenwriter, journalist and writing tutor talks to Karen Pegg about crime, research, free-falling into fear and the best kind of villain. To what extent are your novels underpinned by research when it comes to police procedure? I started out as a journalist and non-fiction author, so I guess the habit of accuracy stayed with me. I also really enjoy the research, especially getting to talk to experts and professionals about their work, the more arcane the better. I don’t mind stretching reality a little – this is fiction and the story comes first – but my benchmark is to avoid getting things needlessly wrong. On a practical level, the more forensic detail I can master, the more I can play around with clues, red herrings and switchbacks in my plot – which for readers of crime fiction is a unique part of their entertainment. But what matters most to me is to understand the mind-set of a detective: the procedures they think are important, what they would simply never do, their attitudes to people, their humour, and what angers or upsets them. I’ve seen how this kind of frontline work changes people, and the way in which those changes happen interests me a lot. I’ve been fortunate to spend time with senior police officers, and my brother is a retired forensic pathologist, and I’m endlessly fascinated by way they think, and also by the effects on them of the tremendous responsibility of their jobs. I can decide on a whim to change which of my characters committed the crime: they can’t. Location is extremely significant in crime writing. It has often been referred to as another character. How do you choose your locations? I suspect all crime writers are drawn to places that have, as it were, tectonic plates of safety and danger, where co-existing layers slip over or under another without warning: the sea’s edge, a warm family home in a remote landscape, an individual in full view yet lost in a bustling city. It’s about creating a gap through which someone who thought they were safe can just suddenly fall. And where do they go then? There has been an upsurge in female crime writing. What other female crime writers would you read? There are so many good ones to choose from! Among past writers, I’d single out Daphne du Maurier and Ruth Rendell/Barbara Vine for their incomparable skill and the richness of their psychological insight. Similarly I admire Tana French who, especially in a novel like Broken Harbour, uses mystery and suspense to draw one deep not only into the story but also into the helpless feeling of not knowing what’s going on. And – just two out of many, many great books - I recently enjoyed Laura Wilson’s The Wrong Girl and Sabine Durrant’s Lie With Me. You deal with many contemporary issues in your writing. Does crime writing hold a mirror up to society in your opinion? It can, although I don’t think it has to. I’ve certainly found I can tell more truth in fiction than was possible as a journalist. The ability to dramatise a situation means I can draw attention to aspects that may be overlooked in the narrow focus of media reporting. My new book, The Special Girls, is about how a child abuser gets away with it, especially when he is allied to a prestigious institution. It’s hard enough to voice suspicion against someone high-profile who is also clever at grooming his colleagues, and even harder when it’s against someone important to the reputation of the institution for which you work and which you probably wish to protect. Crime fiction can focus attention on the quiet voices in that kind of situation, on the people apparently at the margins of a big splashy story but who may be anything but. Film and TV tie-ins are a significant part of crime writing now. Do you write your novels with a vision of your work being adapted for screen? Has your work as a novelist allowed you to develop differently in any way? How helpful has your work a scriptwriter been as a novelist? I came to fiction so I could tell stories that, in nearly twenty years as a screenwriter, I hadn’t found a way to write for film or television. Obviously I’d love my characters to appear on screen, but I don’t believe one should second-guess a screenplay while writing a novel – they’re two very different beasts. My background as a screenwriter has given me a terrific grounding in how stories operate, so I feel I have a great toolbox to rely on when it comes to fixing a narrative that isn’t working. In fiction however I’ve had to learn a new way of writing, allowing myself to go into free-fall and discover characters and their story much more in the telling – something that doesn’t always work out well in a script where the structure needs to be more tightly organised before you start. Initially I missed the safety of having so much already nailed down but now I feel that, when I approach my next screenplay, I’ll make more use of that scary sense of free-fall. Which POV do you find works best to sustain the tension in a novel and which do you find comes the most naturally as a writer? I enjoy reading other writers who use a first-person narrative, especially for unreliable narrators, but have yet to do so myself. I’m used to writing for actors - they are the ‘first person’ - and so to taking that step back to observe my characters’ behaviour and reveal their inner monologue or deception and self-deception through dialogue. But there are certain intriguing kinds of story that pretty much have to be written from a first-person POV and I look forward to having a go! Do you find that crime readers have certain expectations from crime novels. Is this constricting? No, not at all. If you write genre fiction then it’s vital that you understand and respect the ‘rules’ and expectations of the genre. That doesn’t mean you can’t bend or exploit them, but it’s as if you have a contract with the reader to deliver certain types of reading satisfaction, and I find that a very rewarding creative challenge. And one that places me in a relationship with the reader all the time I’m writing, trying to make sure they’re getting what they want. Which fictional detective do you wish you had written? Philip Marlowe. Oh to have even a little of Raymond Chandler’s noir style and wit! Can you describe your novel writing process? Do you always know the plot beforehand? Do your characters sometimes surprise you? I find the process fascinating. Characters - fictional people - have always come to me freely, but working out what the novel form can do for my story, how to wrestle that into something that reveals the blue-print in my head, that I’m still learning! I always have to know enough of the plot to get started, and I know where, if not precisely how, it’s going to end, but so many great twists and turns come out of the writing that I no longer worry about trying to nail them down beforehand. It’s important to know the ‘spine’ of the story – what the book is about, why it’s a book I want to write – and that also determines how it starts and ends, the story ‘arc’. And maybe I know a few key moments for Grace Fisher and certainly why and how the original crime has happened, but the rest is part of the process of writing. And sometimes it’s a struggle when I have to go back to the ‘spine’ and alter my route, and other times a character will suddenly reveal something I hadn’t expected and make my life much easier! It strikes me that you write with compassion. Good characters are capable of both good and bad. I’m thinking of ‘Out of Sight’ and ‘Shot Through The Heart.’ Is the possibility of redemption, and ultimately hope, important to you in your work? Do you shy away from the out and out ‘bad’ villain? No one is a villain to themselves. Apart from psychopaths (who are in fact psychologically pretty dull), most people see themselves as doing the best they can and will offer some genuine justification for even their most horrific actions. And ultimately we’re all capable of doing wrong, and maybe even of committing lethal violence. 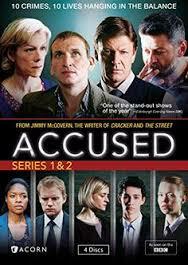 I worked with Jimmy McGovern co-writing an episode of Accused for the BBC and learnt from him always to ‘give the devil the best tunes’ which I think is brilliant advice. I’m not sure I write about hope or redemption so much as simply being human. No one’s perfect and it’s the development of imperfections I find fascinating. Do you have a writing routine and what are you working on at the moment? I try to write every day, although I’ve also learnt to recognise when it’s just not going to happen and to use that time to go off and do something useful or enjoyable. Working on your own does take discipline, but it’s vital not to beat yourself up about slacking off once in a while. I find the first draft challenging, but love the second draft when I know what I’ve got and can shape, direct and refine. I also like having more than one story and set of characters in my head at the same time but at different stages of development. I find one project often shines a useful light on the other. So at the moment I’m halfway through the fourth Grace Fisher book for Quercus, which is about a cold case familial DNA search that opens a Pandora’s Box, but also making notes and doing the odd bit of research on what I might write next. In July, you will be teaching on our Speculative Fiction and Crime Writing retreat, examining how to create and sustain tension in a novel. What advice would you give to an author to ensure the reader keeps turning the pages? Raise lots of questions. They needn’t even be conscious in the reader but he or she needs to be asking: What happens next? Why did she do that? What did that mean? How is that going to connect to what happened before? How will he deal with this? Why doesn’t she realise what’s really going on? How will it turn out? Is he going to be OK? And make the reader care about the answers. Questions drive the plot but the answers should also invoke surprise, insight, relief, laughter, admiration, shock, horror, pity or empathy. Each subtle pay-off to a narrative question needs to engage the reader and keep him or her invested in the characters and the story. If the reader doesn’t care about what’s going to happen, what’s the point? 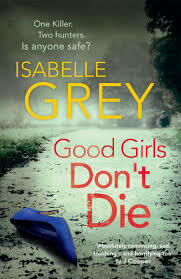 Isabelle Grey is a novelist and screenwriter. Her first commission for television was for an original drama series for the BBC; this led to further commissions from Scottish Television, Carnival and Working Title TV and to writing episodes of Midsomer Murders, Wycliffe, The Bill and Jimmy McGovern's BAFTA-winning Accused. 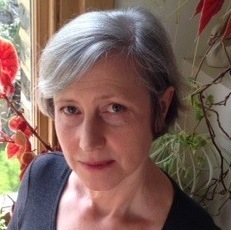 She has also written radio drama and screenplays for film and TV docu-drama, and for five years was Writing Tutor on the MA Screen at Central St Martin's. 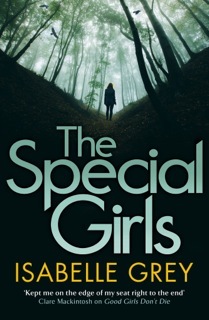 Isabelle Grey has published two novels of psychological suspense, Out of Sight and The Bad Mother, and is currently writing the fourth book in the DI Grace Fisher crime series, based in Essex and published by Quercus. The first two titles are Good Girls Don't Die and Shot Through The Heart; The Special Girls will be out in April 2017.